This highly anticipated new play from 84-year-old Alan Bennett premieres at the Bridge, continuing his long-standing relationship with Nicholas Hytner. It’s an exciting get, and there are wonderful flashes of Bennett wit, wisdom and stirring empathy, but also polemical outbursts and baggy plotting that lead to a ponderous and not entirely justified run time. 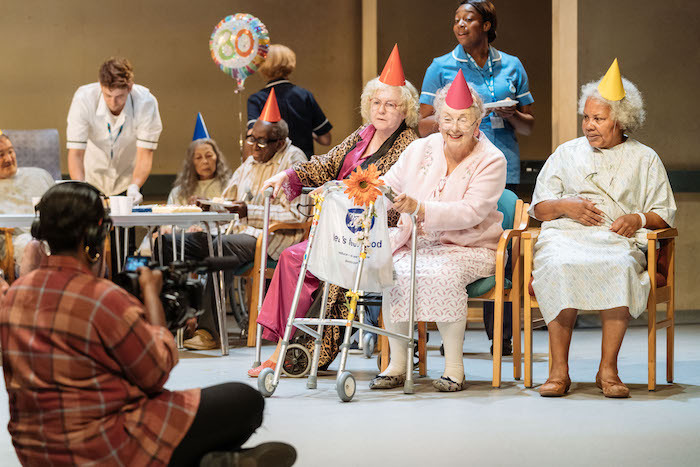 This entry was posted in Journalism, Theatre and tagged alan bennett, allelujah, book tickets, brexit, bridge theatre, broadwayworld, elderly, geriatric, government, hospital, london, nhs, nicholas hytner, patient, play, review, samuel barnett, theatre, yorkshire. Bookmark the permalink.